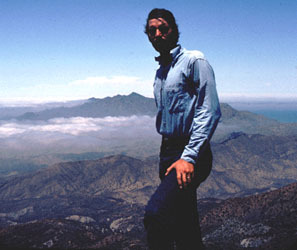 Here's Bill on top of Mount Cedros with Pico Gill in the background. Mount Cedros is the high point of the island but not the prettiest mountain. I can't imagine how I managed to hike in fairly new Levis. They must have been really hot.